On the morning of Christmas Eve, in the year of our Lord, two thousand fourteen, hope is in our heart. Tonight, at the six o'clock service, I will be hoping that the thurifer does not spill hot ashes on the carpet as he did last Christmas eve. I'll be hoping that he does not, as I did two years ago, stand under the smoke detector too long and set off the fire alarm. Later at the eleven o'clock service while sitting in the pew with others, my mind will be more open. I will be without hope that the oblationers carry the sacramental offerings safely to the altar rail. I won't be hoping that the acolytes close the altar rail gate on time. I will be much more fully engaged in hoping that my immediate family members are relieved of their various physical maladies. When I participate as a verger, my perspective of the liturgy is a bit different from when I sit in the congregation. Often, I hope that I can just be fully aware of the presence of God in my life. You know the old adage, "Our responsibility as humans is to know when God has hold of us by the nose and pay attention." Does not Advent offer us, vergers or not, one of the greatest opportunities in the year to look around us with open perception of God's hope in humanity? Is it the sanctity with which we hold the season that fine-tunes our senses? Is it our feeling of exhaustion of the impending end of the calendar year that brings us back to fundamentals? There is the white-haired British couple who immigrated to live near their children and grandchildren. He was an RAF pilot and she was a nurse. They bought a tiny cowboy hat for their three-month old grandson last evening hoping that he will grow into the hat in good health. Across the aisle sits a former US Army sergeant and his family. Their hope for his safe return from Afghanistan was fulfilled last year. Behind me is our resident Master Gardner, who has emphatically expressed the hope that we will not uproot certain heritage trees when we begin construction of our new parish hall soon. My ever-sweet wife, thankful that she can sit in an actual pew with her husband for an entire service, is praying for hope of our deceased son's everlasting life and for hope that our daughters and our former Marine son will find new hope for their families in 2015. I pray for the hope that she'll keep me another 36 years. How do we Christian humans relate to the concept of "hope?" Pick up your Bible and take a look at 1 Timothy 1:1, Ephesians 4:4, or Romans 15:13, which says, "May the God of hope fill you with all joy and peace in believing, so that by the power of the Holy Spirit you may abound in hope." Let us all pray, this Christmastide, that we may, as servant ministers, live our lives in a fervent and constant state of hope from this day forward. Abstract: This Verger's Voice was written the morning of Christmas Eve, 2014. Christmas is a very active time for vergers. We all hope that "things" will go well tonight. We hope for only small surprises, and good ones to boot! Is that all we have to hope for? How do we live "in hope?" Let me be up front at the beginning of these seasonal musings: this article is not about Advent wreaths, pink candles, Sarum blue, or the inappropriateness of singing Christmas carols before sundown on December 24th. The observance of Advent need not be burdened by worrying about these things. Vergers are almost by definition ruled by time. It takes time to set up a Sunday service and it must be done before it’s time to begin. Preparing for Christmas doesn’t happen miraculously or under the guidance of angelic directives. For us vergers, arriving early and staying late is a guiding principal that no labor standard can override. The Parish of Trinity Church in New York City where I serve as head verger, webcasts almost all liturgies. This requires a scrupulous adherence to precise time as determined by atomic clocks placed in strategic positions throughout the church building. Advent is a season that often focuses on time, precisely the end of time and the second coming of Christ. All of this seems remote and removed from our earthly time reality as we think of ourselves as terribly modern and sometimes blasé about the end of everything. We might even catch ourselves thinking, “I have no time for the end of time!” Though often misused as a theme by self-appointed religious prophets of doom, the notion of final judgment, seemingly unscientific, warrants our serious consideration and prayer. In early October while recovering from surgery at home for two weeks, I had ample reason to contemplate my own mortality and end of time. Not content to recede into pointless gloom, I engaged in two fairly monumental head exercises. First, I picked up Leo Tolstoy's novel, "War and Peace," for the first time. I’m about three quarters through this odyssey of reading and I hope to have it finished by Christmas. I recommend it highly! Second I began watching a series of lectures called “Big History: the Big Bang, Life on Earth, and the Rise of Humanity.” This got my attention initially because the lecturer, David Christian, is a professor of history and not a scientist. The very first lecture sets the stage for what is to follow. Big history is big because our universe is unimaginably immense and stupendously old - perhaps 15 billion years old. These statistics alone provide ample opportunity to engage in renewed humility about everything we do. Our consideration of Advent has the potential for taking us out of self to consider a far more grand scope of the created order we are graced to inhabit. Our contemplation of big time and big history isn’t a contest between science and theology, but rather a realistic look at the immensity of creation as a manifestation of God’s power to launch and direct it all and yet still come to us in the Word made flesh. God is big history indeed but then each of us, as vergers in our sundry callings, play a part in the divine story and are capable of comprehending that still small voice of God clearly through the chaos of babble all around us. Take time this Advent to think big, to imagine with care, and to guide and nurture those we’re called to serve. Our ministry is rooted in the God of the cosmos and the God who is born in a humble stable. Abstract: One of the most experienced vergers in North America answers the question, "What does Advent mean to vergers?" You may be surprised with what he has to say. We pray that you are moved to new consideration of our place in humanity. He says that it is, "as big as all outdoors." Read this week's Verger's Voice and be inspired. 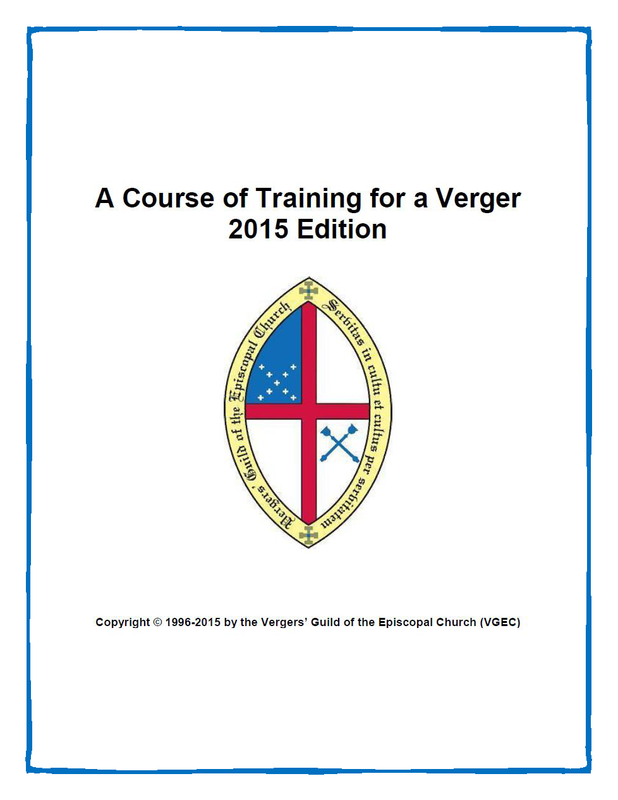 This summer and fall, under the direction of the Training Committee and as the VGEC Training Advisor, I re-wrote the verger’s training course from top to bottom. 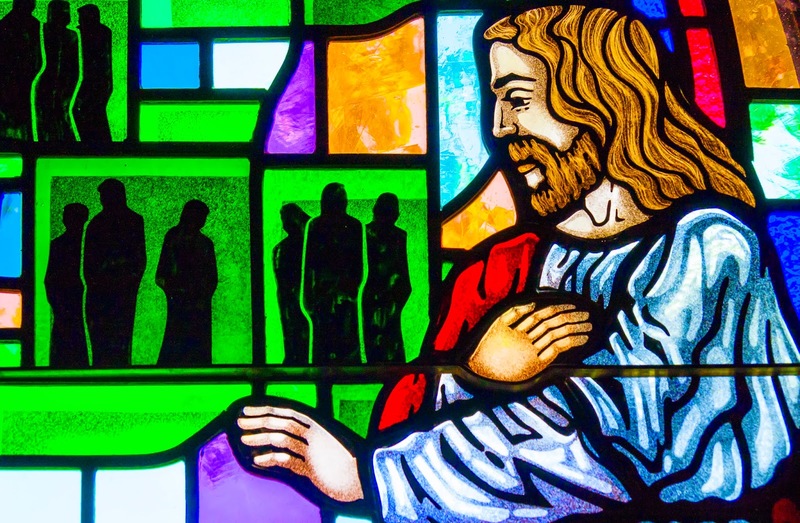 Drawing on experience from multiple congregations in several dioceses from both the local and national level, the new course stresses the servant ministry of the verger and the relationship between the verger, their clergy, and other ministries in their congregations. Several members of the VGEC volunteered to serve as editors and proofreaders. The new course is distributed by email as a password protected PDF file and the person taking the course is able to type directly into the course rather than maintaining a separate notebook. Once receiving the course, the simplified enrollment process is completed by filling out the form on page 10 and submitting it to the Training Advisor. Once the form is received, a password protected complimentary copy of the course will be sent to the member’s mentor. Satisfactory completion of the course is determined by the individual, their mentor, and their Rector, Vicar, or Priest-in-Charge. When the 2015 Vergers Training Course was ready for publication, it was sent to the 296 current Fellows of the Guild and to those presently enrolled in the course (509 as of the current membership directory). It has garnered much positive acclaim! Natalie Hala, a VGEC Fellow from the Episcopal Church of St. Mary the Virgin in San Francisco, California said, "The PDF formatting will greatly facilitate the ease of taking the course and preparing the submission. How wonderful the expertise and resources were available to make this happen. (I may have deforested our beloved California redwoods with my multiple page submission of last year!) I was especially impressed with the emphasis on the verger as servant ministry throughout the document, the gentle touches of humor interspersed throughout, and the addition of some very practical advice (e.g. parish dynamics, timing issues and incense, etc.). The course of study feels like it is a road map for a Christ-filled ministry. What a terrific achievement! Again, congratulations to all involved in its production." Cindy Ware, a VGEC Fellow from Christ Church Cathedral in Lexington, Kentucky added, "...it is much improved over the original one I had. Well done!! I love that it includes good tips and suggestions about every-Sunday sorts of tasks and checklists." Those currently enrolled in a prior edition of the course may elect to continue with that version but they are welcome to switch over to the new edition. All prior course work can easily be incorporated into the new edition. The other big news that accompanies the new course is the change in pricing. In an effort to make the course more accessible, the VGEC Board took a long hard look at what was included in the purchase price of the course and made a significant change. With the old $215 price tag members received the printed course, a renewal of their membership for one year, and upon completion you received a certificate and the Fellow’s Virge at the annual conference. The cost put the course out of reach for many of our members plus the guild's expense was even more than we were charging. With the $65 purchase price for the new course, you get the password protected PDF of the course and upon course completion, you receive recognition and a certificate of completion at the VGEC Annual Conference. You are then eligible to purchase the Fellow’s Virge from the Guild Shop. Anyone who purchased the course at the old pricing will still receive the Fellow’s Virge upon completion. Information on the training course is available at vergers.org/training with a sample of the 2015 training course at the bottom of the page. You can purchase the course when you join the VGEC or renew your membership, or you can purchase it at the Guild Shop at shop.vergers.org. Abstract: The Revised VGEC Training Course is now available. There are important changes incorporated in both the content and the method of course delivery. Read all the details in the Verger's Voice. I've been using the online VGEC Membership Management System for a while now. Every time someone emails me about a story idea or responds to a call I've made, I dial up their photo in the membership system and have a (sort of real) face-to-face meeting. I occasionally use the last printed directory from 2011 when I'm not logged on to the system, but we have added many new faces since that time so the best bet is the current data in the online membership system. The point is that timely publishing on paper, for a smallish organization like VGEC, is a thing of the past. Technology has generally advanced everyone’s ability to get to the exact piece of data we want, right now. So we followed the trend and the VGEC Membership Directory is now available for your use at any time. We say "current" because the entire Directory gets automatically generated every morning at 01:30. All of the data is drawn from the membership system as modified by the transactions for that day. So our Membership Directory is always up-to-date each and every morning. How about that! In a conversation a few days ago, Scott Smith, who monitored and guided most of the work of creating and automating the directory told me, "We really started talking about this in 2011 when we printed the first (and the last!) VGEC Yearbook which turned out to be a real chore to get it assembled and printed. "Our plan was that we could use the VGEC Yearbook as a combination of the printed and mailed Membership Directory and the Verger's Voice newsletter which had been essentially defunct since 2004. The yearbook was super expensive but it was also hugely effective as a public relations tool. It debuted at the 2011 VGEC Annual Conference and played a significant roll in the 2012 General Convention where the delegates were blown away by size of it. "In addition to the huge costs, another problem with the yearbook was the work involved in graphic design, layout and editing of the first 10 pages which contained the yearly news. Likewise, publishing a separate paper version of The Verger's Voice was always an expensive and manpower-intensive exercise, and its "news" was usually history as soon as it was printed. "In late 2012, we started working on another edition of the printed directory which had updated news and was just about ready to publish. But the board talked at length about the cost and effort associated with doing this. Graphic design takes time and money, and news is always a moving target, so this plan was finally deemed too complex, not timely enough, and too expensive. "The multi-purpose directory had a place in its time, but it was maybe not the optimum way to make news items and directory contents easy for our members to access. "Here's how we defined these two pressing communications issues: 1. How do we best make VGEC member contact data securely available to our membership? 2. How can we publish informational articles and current events more frequently than annually or quarterly? "After making this distinction we decided to produce our membership directory online. That was in 2013. At the same time, we implemented the new Verger's Voice blog. This simplified our providing news and member database information access by separating the two functions so that each could be perfected individually. "As soon as the yearbook was deemed not to be the vehicle for printed and mailed news, we were relieved of having to layout and print another one. So in mid 2013, we changed the terminology from, 'Yearbook' back to, 'Membership Directory' and we decided that with more people logging into our secure membership system, we could make the directory available online as an interactive document in PDF form. "We had already built the technology to fill the membership section into the yearbook, so we had a leg up on producing a new membership directory at that point. "We also asked ourselves, 'Who is the audience?' and 'What is the purpose?' Early versions of the new directory had evolved from the yearbook and had a lot of introduction to the VGEC and organizational information – so it was trying to be informative and attract new members. This was not what a membership directory was designed to do. "We concluded that the sole purpose of the membership directory would be simply to give our VGEC members access to contact information of other members. Sounds simple, right? But that change in our communication plan made all the difference in getting the job done. Now that it’s all functional, it is finally relatively easy to maintain. "One funny thing that happened about a week ago was that somehow board member Duke DuTeil's photograph was deleted from the membership system’s head shot collection. And since the board pages are built all expecting there to be head shots for board members, the lack of Duke’s photo caused the 01:30 update process to fail on several occasions. Darin Herndon, our Technology Manager, noticed this and reported the failure to me and Mike Malone. When we figured out the cause, we put Duke’s head back on and the system magically worked again. Just goes to show that the system can go crazy if it loses someone’s head. "It took from 2012 to 2014 to get a good product completed. I wish it could have been faster, but we had to grow into today's efficient solutions for getting the word out and for making our member data available to the membership. Your Communications Committee is truly working for our membership every day. This is just one story of on-going collaborative data system evolution and optimization to serve the membership." So jump on our bandwagon. We are hoping to find someone who would like to maintain the membership directory as a living document for us as part of the Communications Committee. If you are interested please contact Eileen Hicks or Michael Sanchez! Abstract: You can find telephone numbers, email addresses and diocese and parish associations for everyone in the VGEC Membership Directory. Wow! How can I do that? Tune in to The Verger's Voice and see how and why we left the printed news and directory content era to bring you on-line versions of the VGEC Membership Directory and The Verger's Voice. 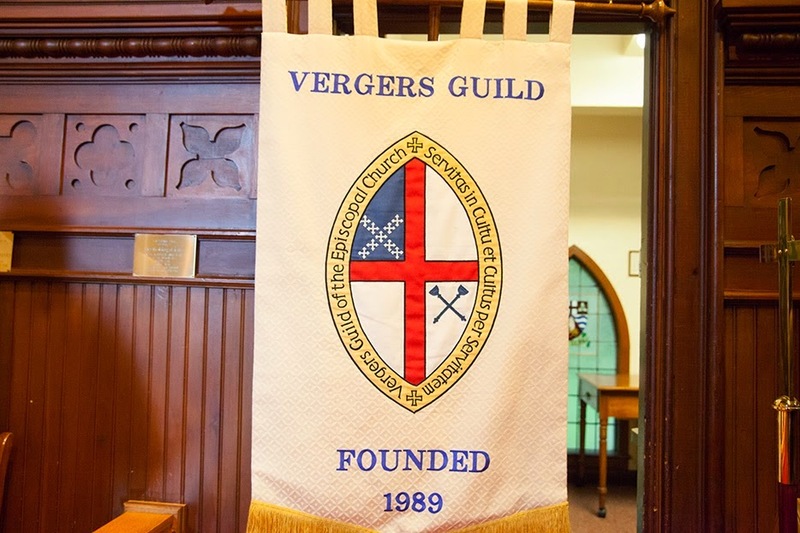 The power of the Vergers' Guild of the Episcopal Church lies in its distributed membership, and especially in its diocesan and local chapters. Currently we have chapters in these eight dioceses: Atlanta, Connecticut, Dallas, Mississippi, North Carolina, Southeast Florida, Tennessee, and Texas, with new chapters under development in many dioceses across the country. "Chatter" between chapter members and their parish churches has a way of revealing new ideas or methods and thereby reinforcing communications and idea exchange among the member churches. Chapters also provide the experience and processes that support training and development of new vergers, both in established "vergerized" churches and those seeking a verger ministry of their own. Earlier this year, Cindy Leap,a VGEC Fellow, of St. Mark's Episcopal Church in the Diocese of Pittsburgh, expressed interest in exploring the dynamic of "big-city" parishes as contrasted to smaller rural area parishes with regard to their need for vergers. Nicholas Birchum, head verger at the Cathedral Church of Saint Matthew in Dallas and past chair of the Dallas Chapter, answered Cindy with some keen observations. Let's listen in on parts of their conversation. Cindy begins, "I am one of 7 or 8 vergers in the Diocese of Pittsburgh (over 40 parishes) and I believe the only one to have completed the VGEC training course to become a Fellow." "While it would be a wonderful thing for us to develop a chapter, there are some obstacles that would need to be overcome, the biggest being distance. It is over 80 miles from my church to the church that has the majority of the vergers. They are all located in or around Pittsburgh with larger congregations (150-500 people) and I am in a small rural parish of less than 30 active members which is actively searching for a new rector." "I would like to see something developed that addresses the different issues between big city parishes and small parishes. To be perfectly honest, at this time in our parish, it’s quite silly to have a verger in liturgical attire leading a small procession of seven people. I’m having difficulty articulating these differences, but they are substantial." Nicholas answered, saying "Cindy, I would like to share some similarities between the Diocese of Pittsburgh and the Diocese of Dallas." "In our diocese, several parishes have their own chapters. But in addition, there is a diocesan chapter which formed at the request of our bishop in 1994. Any verger may join the diocesan chapter, but it is not required. Even paying dues is optional. It is loosely knit, but works wonderfully." "The diocesan guild is a fraternity of vergers who choose to serve together. We have vergers who come from large and small parishes. I would share that I know of several small parishes that take the position that we're small so a verger is too much. But there are some small parishes that would never dream of a service, no matter how big or small, without a verger." "The diocesan guild has an unusual feature. If you are a member, and have trained properly, you can serve at any diocesan event, convention, convocation, as well as parishes that have no verger but need one for some special event of one kind or another." "There are at least two vergers in the diocesan guild who come from parishes that have no verger. Their rectors refuse to have vergers. So these diocesan vergers only serve at the cathedral from time to time and at diocesan events. The bishop's staff and cathedral staff reach out to the diocesan guild and just announce an event and say that they need vergers. The diocesan vergers reply if they can attend. It's a strong bond, and the bishop and cathedral are very pleased. They know that any event will be handled if they hear that the vergers will attend." Fast forward to today, Wednesday, October 29, 2014. Cindy met this afternoon with her new rector, The Rev. Nancy Threadgill, who asked Cindy to help her define the verger's role at St. Mark's over the next few months. So the story continues. Will Cindy be able to use some of the concepts which Nicholas shared to organize a VGEC chapter in the Diocese of Pittsburgh? Will she be a force in Pennsylvania verger history? Will Nicholas, the VGEC Chapter Development Committee, or other willing VGEC member contribute concepts and processes that result in a thriving verger chapter in the Diocese? How many vergers from the Pittsburgh area will we get to meet in St. Louis next October at the 27th VGEC Annual Conference? Which dioceses will be officially recognized as new chapters of the VGEC at the next conference? Stay tuned, intrepid vergers, as we monitor the Diocese of Pittsburgh VGEC chapter possibilities, and the exciting new era of verger ministry at St. Mark's Episcopal Church in Johnstown, PA.
Abstract: Is your church located some distance from a metropolitan area? Are you seeking verger-comradeship? Are you a verger without a verger ministry? Would it help to have a conversation with other vergers around common liturgical issues, like your rector doesn't see the need for a verger or your church has less than 50 members and you are not quite "right" with escorting a procession of 7 folks on Sunday? If you qualify, listen in on a real conversation dealing with a few of these topics in this week's Verger's Voice - My Diocese Doesn't Have A VGEC Chapter - Help! Part 1, and tune in soon for Part 2, in which our heroes begin to whittle down a set of solutions for real-life verger dilemmas. I asked the Rev. Walt Kindergan, the former verger at Christ Episcopal Church, in Pensacola, Florida, about the events on his life path that led him to ordination. I wanted to know how/why/when he decided to seek ordination. I wondered why he sought to make himself available, at this level of service, to his community. I asked, "What about your journey would you tell prospective vergers? New vergers? Well-experienced vergers? What about the priesthood do you find the most fulfilling activity?" He said,"When I became a verger it was mostly because I saw it as another opportunity to serve the church I love in a deeper and more fulfilling way. And it certainly did meet those expectations. Over the years, I have very much enjoyed the learning, the opportunities for service, and the camaraderie I have found as a member of the Vergers Guild of the Episcopal Church." "About eight years ago, I began discernment for the vocational deaconate. I was getting close to retirement but still had a lot of energy and I knew God had something more for me to do. Soon after that, our diocese began a two-year Deacon’s School (in 2008) but I didn’t think I was ready yet. Then, in the summer of 2011, after much personal reading and discernment and many long conversations with mentors, clergy, spouse, and friends, I discerned a call to the priesthood. The Commission on Ministry and the bishop agreed and I began studies at The General Theological Seminary the fall of 2011." "Seminary was great fun and extremely rewarding. I like to say it was like Education for Ministry (EfM) all day every day – and those who know EfM will understand this. Of course, there was a lot of reading, studying, writing papers, lectures, etc. but every bit of it was fascinating and educating. And my experience as a verger really paid off, especially in two areas. One is probably obvious: a verger arrives at seminary perhaps a bit more knowledgeable than many other seminarians who have not served the liturgy in the same way. The other area is not so obvious but, I would argue, perhaps even more important. And that is that a verger understands her or his ministry is one of ‘hospitality’ and ‘service.’ That is a critically important attitude for any seminarian to hold and it is vital to successful ordained ministry." "Now that I am a priest and serving as Curate at Holy Cross Episcopal Church in Pensacola, Florida, I cannot imagine what I might be doing that could be more rewarding and fulfilling – and just plain fun!" "If I were asked for advice by someone thinking of becoming a verger, or a deacon, or a priest, I would remind them to take their time, pray about it often, and really discern what God is calling them to do – and don’t do it in a vacuum but seek a lot of conversation with others. And remember that God doesn’t call the qualified – Moses couldn’t speak right, Jeremiah was too young, Isaiah was a man of unclean lips, and so on – but God qualifies the called. Just think about the disciples." "And one last thing – always remember that ours is forever a ministry of ‘hospitality’ and ‘service.’ It’s never about you – it’s about Jesus!" So, Walt, after a long Naval career and subsequent experience in governmental administrative positions, made himself available to serve in the church. Is his story unique? I will parrot those who have said, "It is just as common for a dentist or teacher, a "techie" or tailor, as it is for a verger or anyone else to be ordained." It really relates to how one is called to be a servant of Christ. How can we know if we are being called? As humans, all we can do is to be vividly aware when God grabs us by the nose and pay careful attention to following His lead. Abstract: Vergers thinking about seeking ordination, read this article. It's about your calling. It's about your willingness to be a servant. It's about your commitment. It's about knowing God. The Rev. Walt Kindergan tells us about his experience in becoming a priest. How do we measure progress? What about the VGEC is changing and how will change in our Guild transpire? Who was elected at our annual meeting? What are we doing to advance our use of technology so that more vergers can attend the annual conference - virtually? In the interest of determining how best to expand the membership participation at the Annual Conference, we conducted an experimental webcast of the Business Meeting from Burlington via our YouTube channel. I was on the other end of the webcast here in Round Rock, TX making notes as fast as my stubby little fingers could type. As one of many who could not attend this year, I felt very connected to the proceedings. The plan is to expand the study population by broadcasting to a larger audience during the 27th Annual Conference in St. Louis in 2015. We are currently studying what means would be required to conduct the second phase of the study. If next year's webcast is successful, VGEC may plan to make certain parts of the conference available, streaming live on-line for the entire Guild membership and the general public. Watch for updates on this and other VGEC technology initiatives currently in evaluation and feasibility study phases. At the VGEC 26th Annual Conference in Burlington, Ontario, the members present elected Terry Hughes, Michael Sanchez, and Scott Smith to fill the three open positions on the board. Each was elected for a three-year term in the vestry-model board. Subsequently, Scott Smith was re-elected as President, Bill White is now the Vice President, Cheryl Cantrall became the Secretary, and Duke DuTeil remains Treasurer. John Whitaker and Ann Davis McLain were appointed to the Audit Committee. Betty Moore was appointed as the new Training Course Registrar. More exciting news about the changing Training Course will be coming in the Verger's Voice very soon! During this year's Pilgrimage to Canterbury, Margaret McLarty and Scott Smith talked with James Armstrong about the VGEC Annual Conference and its history of visits by Anglican Church leaders. Margaret suggested that James consider presenting the keynote address at our 27th Annual Conference in St. Louis,.October 1-4, 2015. We are happy to announce that James Armstrong will be with us in St. Louis. James has been researching the history of the ministry of the verger for several decades and the verger's residence at Carlisle Cathedral has a room specifically dedicated to this work. Look for a full and detailed history of our ministry and a rare view into his growing catalog of virges and other verger-related artifacts from England. Registration opens January 1, 2015. The Rev. Canon Matthew Corkern, Rector of Calvery Episcopal Church, Summit, N.J. and our VGEC Chaplain, attended a meeting of the Compass Rose Society last week. Rev. Corkern's ongoing work with the Church of England and the Anglican connections to The Episcopal Church took a step forward during this visit to England. Expect a report on the meeting and a look forward to the fabulous Pilgrimage to Canterbury planned for 2015. Abstract: How do we measure progress? What about the VGEC is changing and how will change in our Guild transpire? Who was elected at our annual meeting? What are we doing to advance our use of technology so that more vergers can attend the annual conference - virtually? From the east to the west, the north and the south of Canada and the US plus across the Atlantic, comments are arriving at this desk about the 26th VGEC Annual Conference. These just in, "...we had a blast in Burlington." "They really know how to celebrate." "The singing Mountie was the best!" After a week off, let’s go to press! "This was one of the best conferences I have attended. The hospitality shown by the Parish Church of St. Luke was exceptional. The two highlights for me were the Three Cantors and the Burlington Teen Tour Band that played for us outside our banquet on Saturday evening. That said, the whole conference was a highlight of my September this year. This conference was a cause for renewal of my hope in our Episcopal Church. We have so many dedicated people who love the church and are willing to serve and to serve as examples to others who are seeking a spiritual home. The Episcopal Church is alive and well if our vergers are any example - and I think we are." - The Rev. Walter Kindergan, Pensacola, FL. Kent Wingerson, Topeka, KS, celebrated his birthday during the conference, I think on Saturday, and everyone sang Happy Birthday to him. He turned as purple as the shirt he was wearing. Bill Gleason, Nashville TN, instigated the announcement and later treated him to lunch while at Niagara Falls. If you think you've experienced hospitality before, how about the congregation of the Parish Church of St. Luke which went to Christ's Church Cathedral in Hamilton bringing their choir, priest, and banner for the service Sunday morning. Yep, the whole congregation closed the doors, boarded buses, drove down the coast and showed up, supporting us, their guests. Wow! Thank you Terry Hughes, Ritchard Taylor, the vergers of the Diocese of Niagara and the entire St. Luke's congregation. It was a unique experience... just as you had promised, eh! Readers can view the online photo album located here or visit VergerTV to see the video of the Thursday Evensong and the Sunday Eucharist. Abstract: From all points in Canada, the US, and England, 111 VGEC members and 28 guests gathered in Burlington to renew acquaintances with many friends met at previous conferences, to 'catch up' with them and to meet new people with a common purpose, to faithfully serve our liturgical tradition. Read about some highlights and view video and photos from the 26th Annual Conference. Scott Smith and I talk frequently, sometimes by email, sometimes on the phone, sometimes by ham radio. Our conversations are 97% about the Verger's Guild of the Episcopal Church. This week I asked Scott, our VGEC President, to give me his view of where we stand in implementing the official Guild objectives announced at last year's conference and to suggest how we, individually, might be looking to the future of the VGEC. This edition of the Verger's Voice is lengthy, but I pray that you will see we've been working hard since our Nashville conference to produce really smart and long lasting improvement to the reach and function of the VGEC. Central to a healthy guild is our constant grounding in the fundamental question: "Are we living into our bylaws." Scott stated that the center of the Board of Directors' focus has been the declared objectives for the year (2013 Conference to 2014 Conference). The following list is read at the beginning of every board meeting. By looking at these goals, we can answer how we are doing as exemplars of our bylaws by noting what each committee has accomplished. We're vergers-so get out your checklist. Active Working Committees - We have eight operational committees with 45 members. The term "active working committees" describes our functional backbone. All the members are experienced leaders in their own right, with heartfelt dedication to complete their individual tasks on time and in appropriate detail while meeting objectives which were determined by the committee as a whole and approved by the board. Every committee is engaged actively in no-fluff work toward well-defined objectives. Check! Chapter Development - The key elements of diocesan chapters of the VGEC are local training, education, fellowship, and a meaningful project to center the chapter's focus. With nine strong members, our Chapter Development work has literally "lifted off" this year under the leadership of Rich Lammlin and Richard Parker. New chapters have formed and are forming in the Diocese of Tennessee, North Carolina, and Connecticut. Many existing chapters are enjoying a rejuvenation including Atlanta, Dallas, Mississippi, and the Diocese of Texas. 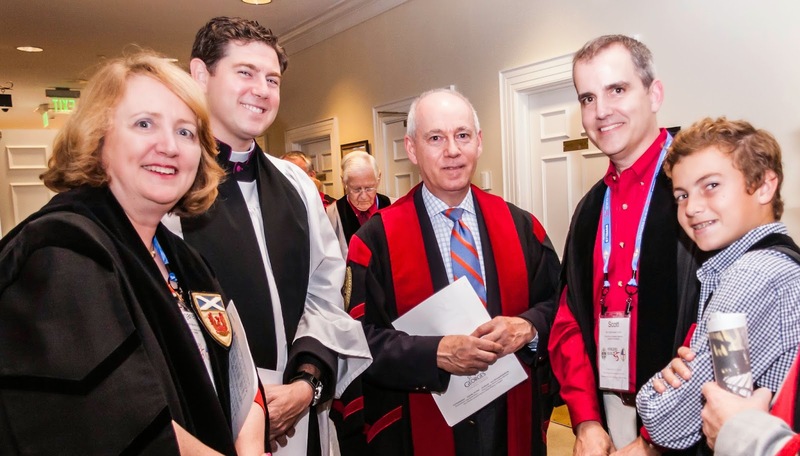 The VGEC is best supported by organic growth of its chapters within the dioceses of the Episcopal Church and around the world in the Anglican Communion. By frequently visiting diocesan gatherings around the country, and engaging in continuing conversation, we attract those interested in the ministry of the verger at the diocesan level. We support and encourage our chapters by maintaining a meaningful training course and effective communications channels, using all available means. We are working on ways to coordinate with chapters to better coordinate our shared membership data. We are expanding the number and strength of the chapters. Check! Membership - Already engaged in a multi-year effort to assure that the membership rolls are audited for validity and currency, committee chair Cheryl Cantrall called on Betty Moore to take on the bulk of our database purification work. Happily, we can report that the task is virtually complete with new projects coming online. Richard Lammlin, as board liaison, and as the moving force in revitalizing chapter activities in Connecticut, is codifying the process of chapter establishment and concomitant membership expansion. This process will provide structure to our planned out-reach to dioceses and parishes across the nation. Finally, Betty and husband Karl are now working to purify our Parish Membership data. Check! General Convention - Strategic planning, agile tactical decisions and experienced leadership are the codes for our presence at the General Convention. Margaret McLarty has arranged for the VGEC to have the best booth placement on the Exhibit Floor in Salt Lake City. Margaret and the General Convention team will use the booth placement, chosen to gain maximum traffic exposure, to increase awareness of the verger ministry within the greater church. Membership expansion and diocesan and clergy attraction...check! Training - Our awesome training team, headed by Dr. Bill White, has worked to make sweeping changes to our training course by putting the parish rector at the center of the course completion certification, changing the price of the course to $60, making the virge available separately for course graduates, and making the distribution of the course via a PDF file rather than hard-copy mailed version. Contributing to the ongoing VGEC training philosophy, Duke DuTeil has been asked to contribute his extensive experience as Head Verger at the Washington National Cathedral by acting as Board Liaison and Training Advisor. Stay tuned for another innovative and truly stellar addition to our guild training capability in the mid-term future. I'd grade this one as a "check", wouldn't you? Guild Shop - Bill Gleason's retirement prompted Barry Norris to step up and extend the splendid track record of providing merchandise of genuine interest to our membership at price-points geared to assure a break-even operation. Barry is developing a long-term Guild Shop plan, ably assisted by an active committee. You'll find an accelerated rate of merchandise development specifically for the Guild from month to month as you visit the shop. Tune in to the shop often and watch the merchandise changes. Guild Shop Mission and Long Term Plan - check! Annual Conferences - The vergers who serve on the conference committee are led by Pat Allen who has been part of six incredibly successful conferences during her tenure. Terry Hughes and Ritchard Taylor of St. Luke's Church, Burlington, are planning a unique Canadian experience this month. Looking ahead to the 2015 Conference in St. Louis, Shug Goodlow of Christ Church Cathedral, promises memories unavailable anywhere else. We have conference planning in very good shape and there is opportunity for change, new ideas, and innovation in the coming years. Communications and Technology -We arranged to use innovative technology to facilitate board meetings and the board met five times this year instead of just twice a year as in the past. Web-based face-to-face meeting technology means so much more than just being able to meet more frequently. It brings our feelings to what might otherwise be just words and diagrams on a presentation chart. When you have audible and visual conversation that continues as long as necessary, even between formal meetings, the volume of issues discovered, explored and settled increases tremendously. We have that. Our Facebook page and our email "blasts" have expanded their update frequency and reach to assure that we always have a way to talk among ourselves. Our "V-List" bulletin board acts as a day-to-day forum, entertaining questions, answers and opinions. Our weekly "Verger's Voice" blog attempts to explore, in story format, subjects that all vergers will hopefully find interesting. Our communications programs have reached across the Atlantic and Pacific oceans to interest and engage new members, one of whom is acting as European correspondent for The Verger's Voice. Nomination Committee - No better example of "living by our bylaws" exists than the recent work accomplished in providing a dynamic slate of candidates for election to our board next week. It is so gratifying that, using our formal nomination procedures, Dr. Mike Malone, Nancy Paulin, John Townsend, Pat Allen and Duke DuTeil produced our slate with comparative ease. This is validation of the process itself and the skills of those using the process to prepare for the annual conference. The very best leadership personalities I have known over 38 years of public and private work are those who support and promote their colleagues with sound counsel and positive reinforcement at all times. I think our Scott is such a leader. He told me that being president of the VGEC is an "absolute joy" because of the talented and willfully dedicated people he gets to work with in building the Guild day-to-day. He even said, mindful that he is a "geek's geek", that it is easier to be the Guild president than to chair the communications committee. Scott has provided his vision to us and supported every move we've made by giving us his confidence and trusting us to do our parts. It is the beauty of working with professionals in which I find so much joy. If you see it the same way, I challenge you to find your niche in VGEC, locally in your diocese or nationally on one of the committees mentioned in this post. There is plenty of work for vergers and the VGEC to do in 2015! Abstract: A conversation with Scott Smith on the State of the Guild as we prepare for our annual conference next week. Jane Dittrich of Christ Church Cathedral, Vancouver, BC wrote about John Taylor's 20 years as a verger in the September edition of the Diocese of New Westminster monthly newsletter, Topic. Jane emailed VGEC president Scott Smith telling him about the upcoming article. She thought that we would be interested. She was "spot-on." An email conversation ensued around our desire to publish a synopsis of the article in the Verger's Voice with a link to the current issue of Topic. John is the verger at St. Mary's Kerrisdale, Vancouver, BC. He chaired the committee which planned, sponsored and managed the VGEC Conference held in Vancouver in 2000. "Call it a calling. When a friend informed John Taylor of a job posting at an Anglican Church in 1994, he felt as though life was purposely moving full circle. John, a cradle Anglican originally from Guelph, Ontario, had been inspired by the verger at his family parish of St. George's. There, John was a choirboy, a server (he was promoted to head server at the age of fifteen), and was president of that parish’s chapter of the Anglican Young Peoples' Association (AYPA). During this time, he mindfully observed the parish verger, and admired how he carried himself and how he subtly executed his ministry." "John knew that he had truly found "home" in August 1994 when, after a successful meeting, he was hired as St. Mary’s verger, by (then rector) the Venerable Bill Stephens and the Parish Wardens. It was the opportunity to return to his Anglican roots, and in a vocational manner designed to fit!" "In reflecting back on his twenty years as verger of St.Mary's, Kerrisdale, John is immensely grateful to have worked for, and alongside, a number of rectors: Bill Stephens, Matthew Johnson, Kevin Dixon, Paul Borthistle, and the current rector, Jeremy Clark-King." Click on this link to read the entire September edition of Topic. Notice John's picture in the upper right corner of the front page. His story begins on page 8. I emailed John and asked him if he would be at the conference in Burlington this year. I also asked him to comment on his ministry, looking back on his tenure at St. Mary's Kerrisdale. He wrote back, saying: "Thank you for your email. I will indeed be attending the conference in Burlington in September. Unfortunately, I have not been able to attend the last few conferences and I am looking forward to this year's event and to catch up with old friends and new. I am pleased to see the conference being held in another Canadian city and recall, with fondness, hosting the annual conference in Vancouver in 2000." "I have been given an amazing gift, the gift of being called by God to be the Verger of St. Mary's Kerrisdale Church in Vancouver. A gift of being part of an amazing community for this past twenty years. From the daily interaction with parishioners and neighbours, to the weekly interaction with the Kerrisdale Community Meal guests and volunteers, I have been so richly blessed by virtue of these experiences. And, blessed so many times by the gifts (often unwittingly given) by all whom I have had, and continue to have the opportunity to know and to interact with." "I am grateful each and every day for the many opportunities which I have been given, while living out my call as the Verger of St. Mary's Kerrisdale. The opportunity for personal growth, continually learning to live more fully into the Life of Christ. The St. Mary's Kerrisdale community has supported and motivated me in that personal growth. I am also grateful that I have the privilege and opportunity to offer my various gifts to this place of worship and community, and to work with so many incredible people every day." "I experience grace as a direct result of being blessed with sharing so many humbling experiences with the people regularly involved within our St. Mary’s Kerrisdale community and congregation. Along with those many others who come and go from St. Mary's Kerrisdale, sharing their experiences of joy, despair, loss, hope and love. All of these combined, are the very foundations of what the amazing community of St. Mary’s Kerrisdale truly is...the people of God, hand in hand, doing His work on this earth." "I encourage all vergers to always be open to how God works in, through and with us each day of our lives. The verger ministry of hospitality and worship is so crucial to an active parish's survival. I have discovered in my 20 years as a vocational verger, that an openness to God's abundance and love provides rewards beyond that which we can ask or imagine." Register for the 2014 Annual Conference being held September 25th through 28th in Burlington, Ontario by clicking on the big red button below. Registration deadline is September 15th for consideration of full participation. After that, if you register for the conference, you may not be able to attend all the sessions and/or the banquet. Abstract: The VGEC conference in Burlington beginning on September 25th will be a great opportunity to meet one of the more experienced vergers on the North American Continent. He was the host committee chair for the VGEC 2000 conference in Vancouver, BC. He began his current job in 1994. "20 years a verger" describes John Taylor. Meet him in Burlington and congratulate him on his tenure. The Church of England Guild of Vergers (CEGV) now holds its conference in Malvern, Worcestershire every year. This year 55 vergers and clergy attended the event in the middle of the Malvern Hills, two and one half hours NW of London. West Malvern is a village and a civil parish on the west side of the north part of the Malvern Hills at the western edge of Worcestershire. Due to its altitude (up to 750 ft. above sea level) West Malvern has panoramic views of the rolling Herefordshire countryside. The village has a church, St. James, built in 1840 and a primary school (St. James Church of England Primary). The church is the site of the grave of Peter Mark Roget - author of Roget's Thesaurus. Stephen Haude of St Peter's, Hammersmith, London, UK reports on this year's conference. He is one of three CEGV members who will attend our VGEC conference in Burlington, Ontario, just 20 days away. Be sure to find Stephen and company and offer your hands - "across the pond." "Our CEGV Conference was held over 5 days (4 nights) at our usual venue in the beautiful Malvern Hills. It is said to have the finest views in England. The Elim Conference Centre is a lovely country house with modern facilities, en suite rooms and wonderful food with all meals provided. Apart from the lecture room, we have full use of the beautiful historic church a few yards away where we hold all our services." "The services covered all types of worship including Morning Prayer, Eucharist, Benediction, Choral Evensong, Compline and Taize. We tend to be on the 'high' side with incense etc. This is good experience for those of us who are 'middle of the road' when in our own churches. We try to give everyone a job to do at sometime during conference services, acolytes, crucifer, incense, verging, reading and singing (I was cantor - how I made the poor souls suffer)." "We had interesting talks on the Psalms, 'The Bible in One Hour' by Revd Dr Simon Taylor and a wonderful performance by the famous Clown Priest, the Revd Roly Bain, known as the Holy Fool. This red-nosed apparition walked a tightrope whilst juggling and spinning plates. His whole act was threaded with a Christian message while our sides ached with laughter." "The Verger's Arms" aka "The Brewer's Arms"
"During our free time some vergers took advantage of the outdoor heated pool. In the evening we would stroll half mile down the country lane to a traditional English pub (which we re-named The Verger's Arms) for some liquid fortification. It was a good conference with tremendous fellowship. I will be among the three of us who will be flying over the Pond to be with you all in Burlington. We can hardly wait!" Abstract: Imagine five days of liturgical exploration including, Morning Prayer, Eucharist, Benediction, Choral Evensong, Compline and Taize. All right we can see you scratching your head. So go ahead, look up Taize. And, mind you, don't stop in at The Verger's Arms Pub unless you ID as a verger. All this reported in this week's story on the Church of England Guild of Vergers annual conference at Elim Conference Center in the Malvern Hills.